Prince Cristoph proposes marriage. What's an imposter girl to do?Elizabeth insists that she’ll make it back home in time for the wedding. Lucy accepts Cristoph’s proposal and is on the fast track to becoming a Princess but continues to fall for the wrong Prince of Fredonia—Nick. When another tiny glitch arises—someone’s trying to kill her. So I’ve been reading a lot of fantasy lately. And most of it is pretty normal fare fantasy voice wise. So when I saw this book come up I decided it was time to break my reading streak and go for something a bit... lighter. 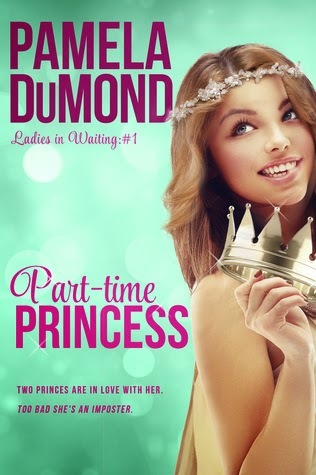 Part-Time Princess is about a girl, Lucy, who is fired from her job (the guy was totally asking for it though) and is desperate to get another job to keep her Uncle in a nice home and keep her from living on the streets. So she turns to internet classifieds and applies for every job she thinks applies to her. One of these jobs ends up being impersonating a Princess for a few weeks and it pays amazingly well, just what she needs. She also happens to look very similar, though her personality is quite different. Obviously you all can see where this is going to end up. There are shenanigans a-glore. Lucy is a great character. I loved reading her voice as she tried really hard to roll with the punches. Her job is way over her head, however, and she knows it. There is definitely a suspension of disbelief we have to put on (because these people have known Elizabeth her whole life, how is it that the only thing they notice differently about Lucy is that she’s curvier, come on!) but I happily suspended it and enjoyed the story. The romance was done really well for this kind of story. Often I have trouble reading stories like this because I can’t stand the second-hand embarrassment or the way everyone is BETRAYED, but there were some clever leavings done by the main love interest that made it feel less weird in the end and well... I won't spoil it for you. I enjoyed the tense feeling of anxiety as Lucy’s stay grew longer and longer and then on top of that trying to figure out who was trying to kill “Elizabeth”. Overall this book was exactly what I needed. The prose is light-hearted, the story comedy-based and the characters entertaining. 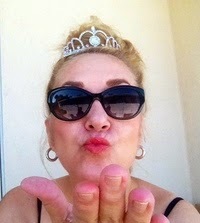 If you enjoy princess stories with hijinks (like Princess Diaries for example) this is one to pick up and enjoy.